It’s Leap Day!! The extra day we get every four years to keep our calendars in line with the seasons. I was thinking about how interesting it is to have an extra day in the year and wondered how the cards might represent or describe it. 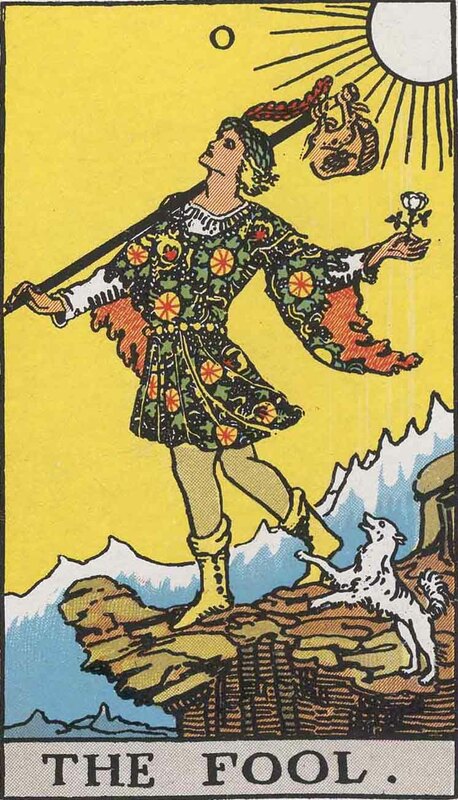 Obviously, the leap of the Fool came to mind, but he already has his own day on April 1st. And beyond the ‘leap’ how would the Fool represent this day? So I asked my RWS deck what card it thought should represent Leap Day. I got the Lovers. I stared and stared at it looking for clues. How could this card be connected to Leap Day in any way? There’s no leaping, no time keeping, no particular indicator of cycles. I was very confused, and a little disappointed. 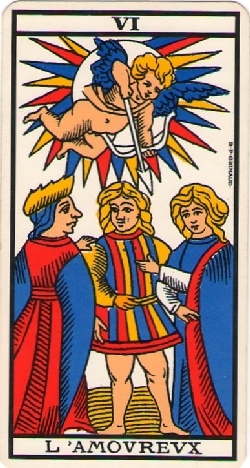 Tarot usually steers me right. Then just for the heck of it I looked up Leap Year on Wikipedia. Scrolling down to the bottom of the page, I came across the answer. 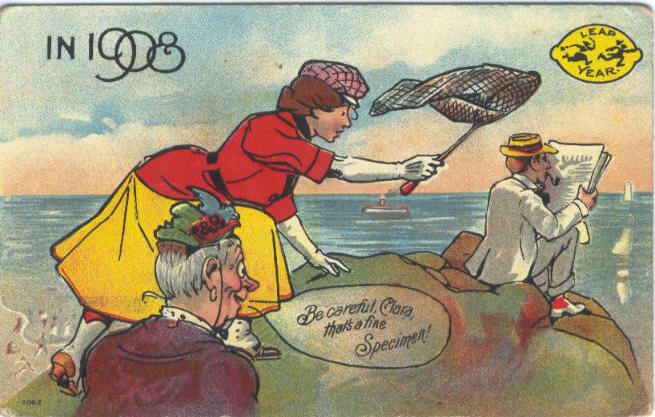 According to British folk tradition, Leap Years are the only years when women are allowed to propose marriage to a man. And in some places, it’s only permitted on Leap Day. 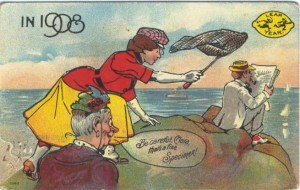 To illustrate the point, take a look at this postcard from 1908. With the encouragement her older lady friend or maybe her mother, Clara is about to catch her man. 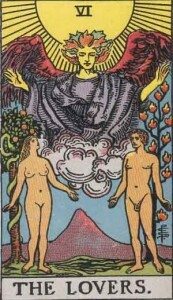 It reminds me of the Lovers card from the Marseille Tarot, where a young man stands between a young woman, and one who looks a little older. It’s often described as the man choosing between the two women, or the man leaving his mother for his new bride. But now that I know about the leap year tradition, I’ve got a whole new perspective on this card. It’s important to note though that Leap Years and Days might be good times for ladies to propose to their men, but according to Greek tradition, it’s not a good time to actually get married. Ask today, but wait till next year to make it official. 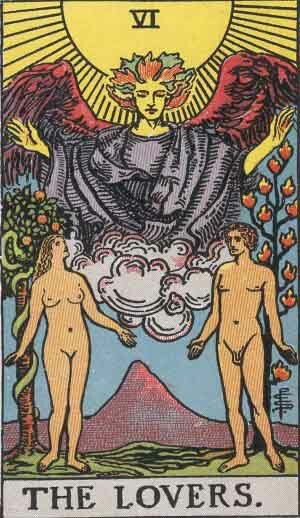 And as far as my Tarot deck steering me right … wow, it’s amazing. Apparently it knew a lot more about Leap Day than I did. You are currently reading Leap Day is for Lovers at The Tarot Room.